In 1933, Wright designed a spectacular light fixture for Taliesin, his home in Spring Green, Wisconsin. For inspiration, Wright turned to nature. In this lamp he was inspired by a tree with branches and leaves. The roots of the tree rise from the ground with a sturdy base growing upward in a trunk. Branches grow out from the trunk in alternating directions in the form of solid wood boxes concealing the lights. Wood reflectors act like leaves, filtering and diffusing the light from above and below. Wright's signature red accents became blossoms. Captivating to look at with the lights off, when lit during the day the lamp comes alive like sunlight filtering down through a tree and its branches and leaves. 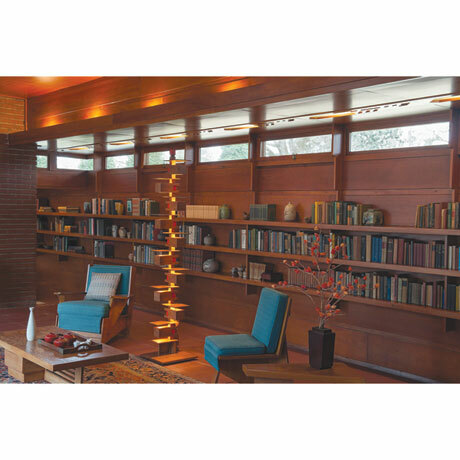 Wright was so fond of this lamp that he eventually had five of them at Taliesin. 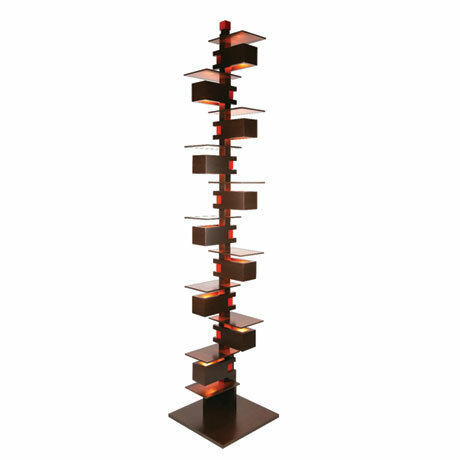 Floor lamp is 16" square, 80" high; takes ten 25-watt maximum bulbs (not included). Handcrafted in USA. Specify cherry wood or walnut. To ensure safe arrival, the floor lamp will ship via truck and a $150 freight surcharge will be added. Allow 4-8 weeks. No rush delivery or gift box. 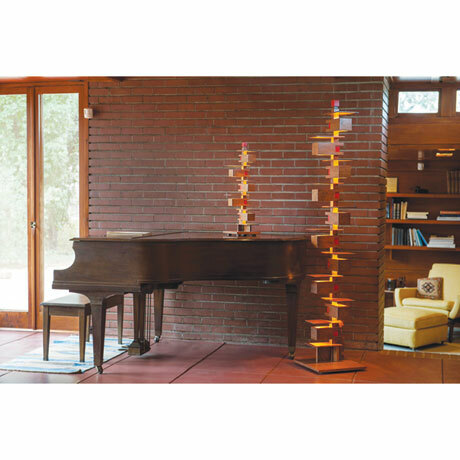 ©/®/TM 2015, The Frank Lloyd Wright Foundation. All rights reserved. A portion of the proceeds from sales of this product support the Foundation's conservation and education programs. Item can only be shipped within the Continental US. Extra shipping charges for this item: $150.